On May 20, 2002 the scientific world lost a major proponent for science and reason. 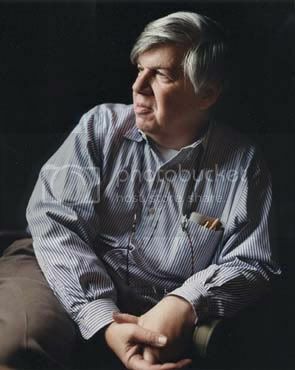 Stephen Jay Gould was a scientist, a historian and a writer who communicated his passion for evolution to an audience around the globe. For many people outside of the sciences, his books may have been the only source they ever read about evolution from a working biologist. His ability to connect with readers from diverse backgrounds and his willingness to challenge so many sacred cows of biological theory will ensure a distinguished legacy for his life’s work. He is largely responsible for my own interest in evolutionary biology and the history of science and I would like to dedicate this fourth edition of Scientia Pro Publica to his memory. Scientia Pro Publica is a biweekly rotating blog carnival that represents the best in multidisciplinary science blogging. For this edition I made an effort to limit the number of posts in each category to five of the best submitted entries. I also actively sought out disciplines that haven’t been as well represented in the past. Please feel free to contact me at [email protected] with your comments or concerns. Also, if you like what you read here consider submitting your own posts at this automatic entry form. Thank you and enjoy the best of the net, Scientia Pro Publica #4. I too count myself among those inspired by Gould to study biology, and indeed, to make what feeble attempts I can to communicate science to the general public through avenues such as this blog or our local cafe scientifique. I am thrilled therefore to find my own recent blog post on plagiarism and peer review in science included in this carnival. This is the closest I could hope to come to being mentioned on the same page with Gould! I had fallen off the blog carnival wagon after rounding up a fairly monstrous Oekologie carnival right here last summer, and then watching the Tangled Bank fizzle out (whatever did happen to it? anyone know?) during winter break. So if you are coming to reconciliation ecology for the first time through this carnival, welcome, indeed! Feel free to poke around here, and and I hope you will leave a comment or two if some of my writing catches your eye. As for those few of you who came here first, let me run you off to the carnival: there is much good science writing to be sampled among the mutidisciplinary tents Eric has pitched – so run along, sample the wares there, and raise a glass to Gould and to science in the public sphere. I know where I’ll be as I proctor the evolution final during the rest of this afternoon! This entry was posted in blog, carnival, science on May 20, 2009 by Madhusudan Katti.